If you are about to start the process of building a new home or commercial building we would love the chance to be the one to supply you with your new roof. Picking the right team to lay the new roof is crucial to ensuring your new home stays water tight and warm for years to come. Here at Johnson Roofing we provide nothing but the highest quality of work and at fair and reasonable prices. We have decades of experience in laying new roofs within the team and our attention to detail is second to none. Our goal every time is to leave our customers wanting to refer us onto others they know who may also be in need of a new roof. Over the years this has easily become our biggest lead source and helps show the level of satisfaction our customers receive. 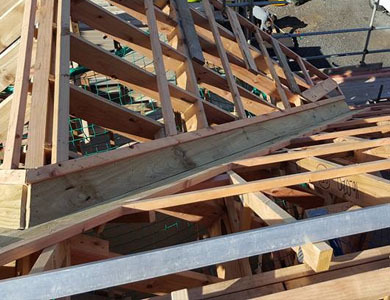 Laying a new roof in Auckland (or anywhere else) requires a certain level of certification to have been earned by the roofers in question in order for it to pass a building inspection and ensure the roofs warranty will be honored. Therefore we always adhere to the required regulations so you can be assured you are safe. As for roofing materials we have a large range of products available for you to pick from, deal only with reputable companies and ensure we complete all requirements to activate their warranties. Our friendly team are ready and willing to explain the process of laying a new roof, help you pick the ideal roof type for you buildings needs and offer advice on colour choices.